New passive radar technology that will allow the Australian Defence Force to see without being seen and a cancer treatment that could prolong the life of our favourite family pets are two of the big innovations that will be fast-tracked through the national sci-tech accelerator, ‘ON, powered by CSIRO’. Ten teams announced today have been selected for ON Accelerate3 and draw from Flinders University, Macquarie University, RMIT, The University of Newcastle, The University of Western Australia, the Defence Science and Technology Group and CSIRO. Their big innovations address key challenges in food and agriculture, sustainable farming, minerals and health and make up the most diverse cohort yet for ON Accelerate, according to CSIRO Chief Executive Dr Larry Marshall. “The diversity in teams is testament to our Strategy 2020 to open the accelerator to all publicly-funded research agencies under the National Innovation and Science Agenda, to help fast-track science innovation. "Innovation is about navigating ambiguity, diversity is the compass. “For too long, great science and technology has been trapped on the lab bench, not because it lacked potential, but because something was missing in the system – ON fills that gap. “ON empowers Australia’s researchers with the entrepreneurial skills to understand the customer first, and how to deliver maximum national benefit. “To test and validate their great science and technology, not just in the lab, but in the real world, and that is precisely what ON is designed to do. Geoff Tuck from the ‘D-tech-IT’ team at CSIRO Oceans and Atmosphere said ON has completely changed the way he looks at research impact and the role it needs to play for customers. “When we came into Bootcamp, we thought we knew our customer. We were wrong. When we spoke to them, they didn’t want us,” he said. “Later, having listened to their challenges, interrogated their needs and adapted our value proposition, we had that customer on board as our first trial partner. New medical technology that uses nano-sized particles of ruby and diamond to ‘light-up’ human systems to ‘see the unseen’ and improve patient diagnosis and treatment. 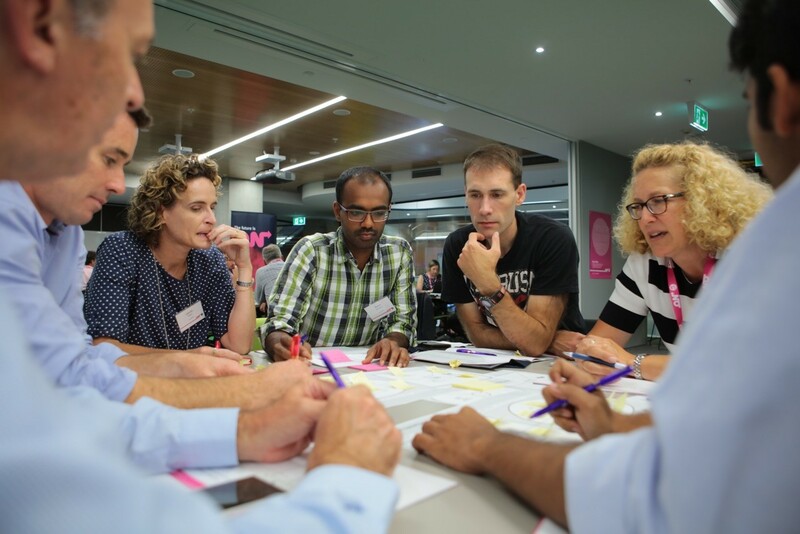 The 10 winning teams were selected following a challenging and competitive two-day Selection Bootcamp experience held last week at UTS in Sydney. Teams were chosen by ON’s industry mentor network and an expert judging panel of Cicada Innovations CEO Petra Andren, Co-Founder of Incoming Media and serial entrepreneur David McKeague, and Partner at Right Click Capital, Garry Visontay. ON Accelerate3 will commence on the 16th January 2017 and will run for twelve weeks in hubs across the country, where teams will develop business planning, commercialisation and pitching skills.